Our tasting room is open to the public daily. Enjoy a flight of our Estate Grown Wines in the sleek and modern, yet casual setting of our Tasting Room located in the historic downtown square of Sonoma. 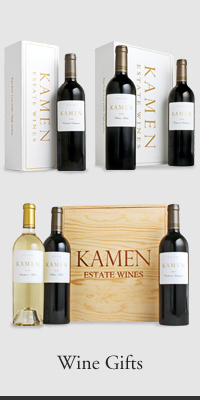 Our friendly, hospitable staff is happy to serve you and ensure your Kamen tasting experience is a memorable one. 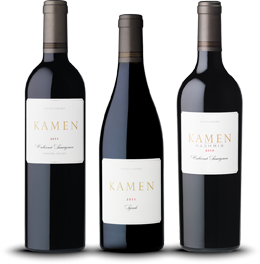 A perfect way to enjoy the varietals in our portfolio. Take pleasure in a rotating selection of our current releases. For the red wine lover. 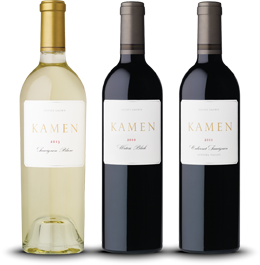 Our Premier flight includes either library vintages or limited production wines.